When applied to construction, lead sheet is an ideal material due to its characteristics: water‑proofing qualities, corrosion resistance, malleability, sound-proofing capacity, incombustibility and ease of coupling and assembly. Another remarkable feature is lead resistance over time. Lead in the shape of sheets, as roof or dove covering, is atmospheric corrosion resistant because it creates a protection film in the contact of the oxygen and carbon dioxide of the atmosphere. This is why lead has been used to preserve emblematic buildings belonging to our architectural heritage, like Palacio Real in Madrid, Notre Dame Cathedral in Paris or Palace of Versailles. Fastening of roofs and façades is based on traditional methods and can be carried out by directly installing lead sheets or using precast panels. Lead sheets should have a limited size depending on thickness, joints must be water-proofed and they must allow, like fixings, thermal movement. 2 - 3 mm lead sheets are strongly advised for covering flat and sloped roofs, whereas thicknesses between 1.5 and 2.5 mm are used for façade coverings. The malleability of lead sheets enables a wide range of designs that can be applied to cover vaults, domes and any other curved surface. Also for skylights and spires. Lead sheets have been historically used to completely cover roof surfaces in historical and emblematic buildings. At present, lead sheets are mostly used as protection and water-proofing elements at the junction of the roof and other elements in existing structures. 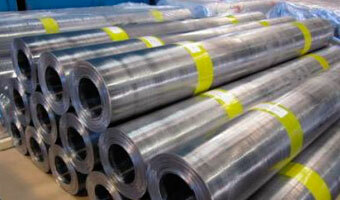 It is on these occasions that lead benefits are maximized. This is why lead aprons are used to cover junctions with weather boards, gutters, chimneys, etc. 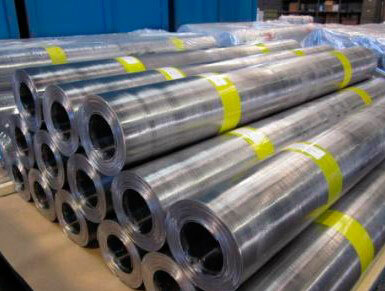 It is also used as a protection for cornices, skylights, valleys, ridges and others. 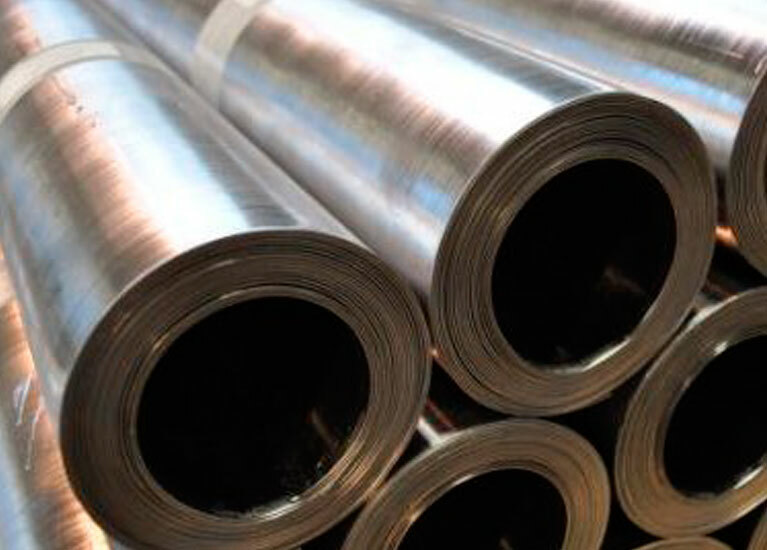 When dealing with projecting pipes that cross sloped roofs, lead sleeve couplings (tubes) are used, in combination with and supported by lead sheets. 5 x 1 m lead sheet delivered on pallets and rolled up like a carpet. • Anti-humidity barrier and protection in sills, openings, chimneys, etc. • Barrier against sound transmission. • Basin, sink, pond and fountain coating. Standard formats are always available for immediate deliveries. Ask for delivery times when dealing with customised orders. 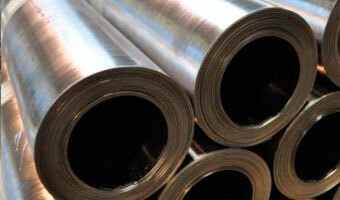 Lead sheets comply with European EN12588 standard, stating that minimum Pb content is 99.77%. At the customer’s request, we can provide our clients with the appropriate Quality Certificate.